Fern-C Sodium Ascorbate - The right kind of Vitamin C - All Chucked Up! 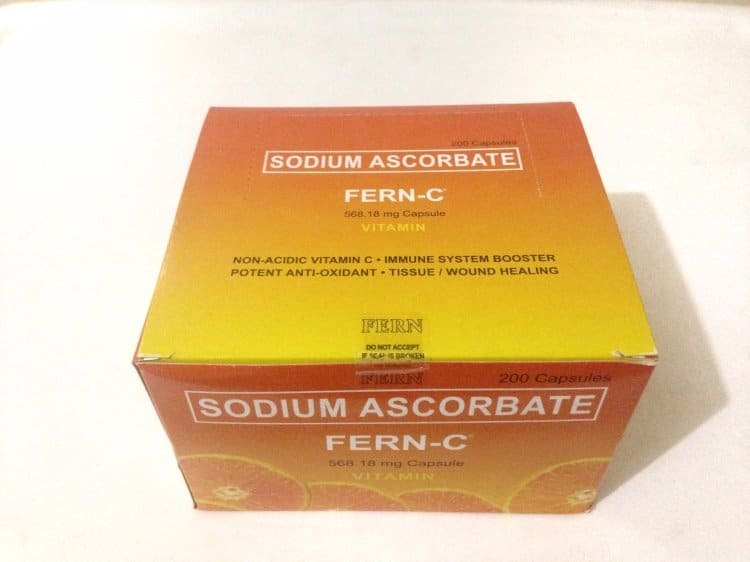 I particularly take FERN-C because this Sodium Ascorbate Vitamin C brand is tried and tested. Apart from that, its affordability doesn’t compromise the quality of the product. It is worth noting that the Sodium Ascorbate found in FERN-C is made at DSM’s plant in Europe. What makes it so special? Well, DSM is the only western Vitamin C manufacturer that offers the world’s premium range of Vitamin C forms. FERN-C has the QUALI-C trademark which assures every consumer of the best quality. It’s simple, really. Bottomline is that FERN-C actually is the only high-class quality yet affordable brand in the market. 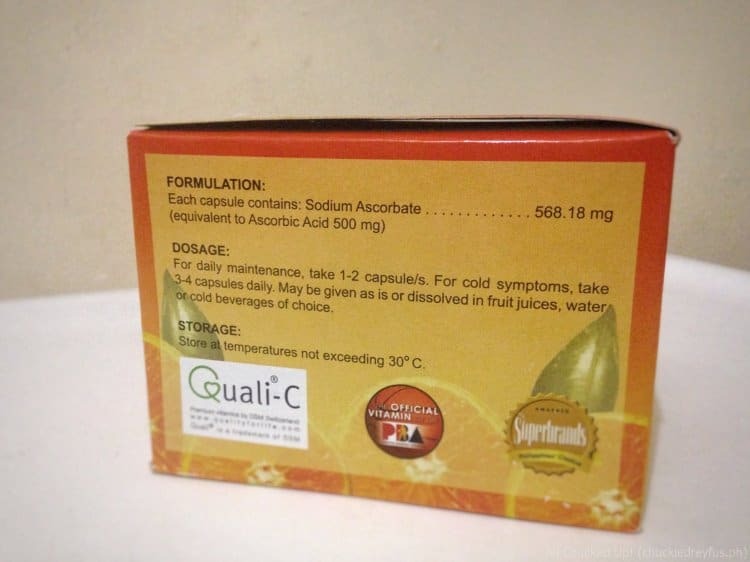 The reasons for choosing top quality Sodium Ascorbate Vitamin C over Ascorbic Acid are numerous. Allow me to mention a few as well as point out why Sodium Ascorbate wins, hands down, on the Ascorbic Acid vs Sodium Ascorbate battle. It is a non-Acidic kind of Vitamin C.
It can be taken with an empty stomach and neutralizes the acidity in the stomach. It can be taken in large doses. It is a superior immune system booster and increases body resistance from infectious diseases. Sodium Ascorbate is a powerful anti-oxidant. Taking FERN-C Sodium Ascorbate Vitamin C hastens tissue and wound healing. 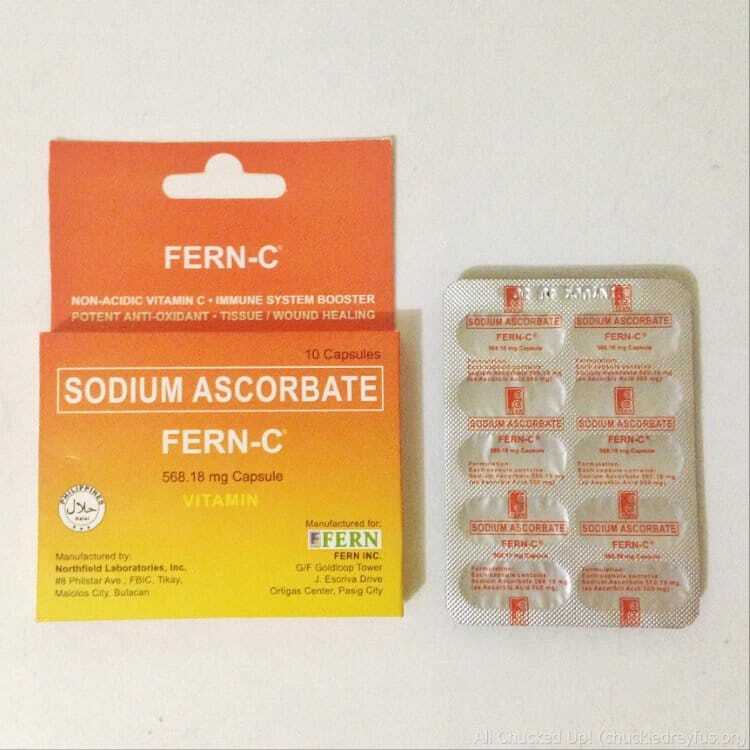 FERN-C Sodium Ascorbate Vitamin C helps maintain healthy gums, teeth, bones and other connective tissues. 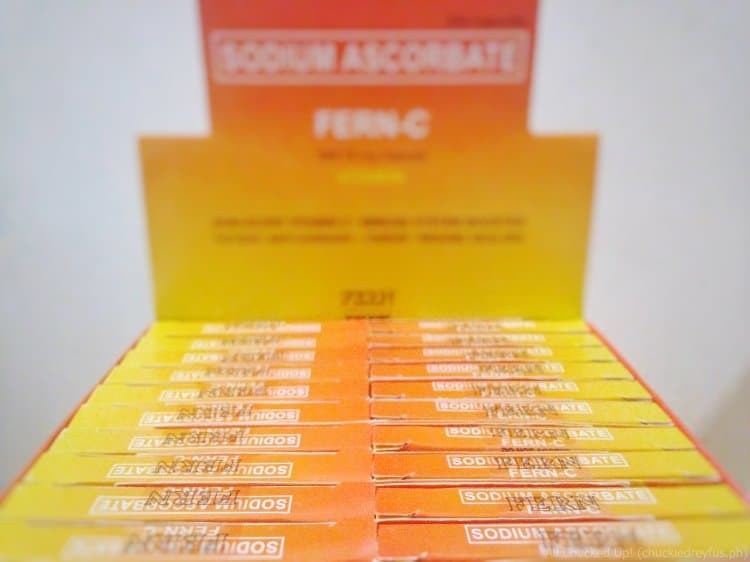 I can go on and on and on about why you should seriously consider choosing FERN-C Sodium Ascorbate Vitamin C over other brands, but I’m pretty confident the benefits alone are enough to convince you already. I’m an advocate of good health and I’d like you to share the same passion I have. Because if you really think about it, what good is money and all the pleasures in this world if you don’t look after your well-being and stay healthy. If you truly care about yourself and your loved ones, start loading up on FERN-C Sodium Ascorbate Vitamin C and enjoy life to the fullest. ‹ Up in Cloud 9 – Niu by Vikings dishes for their first year an-NIU-versary › The Globe iPhone 6s and Globe iPhone 6s Plus is here! Fern C is one of the best Vitamin C. It boose my energy. Awesome! Hi rose. Do u take fern c once a day ? 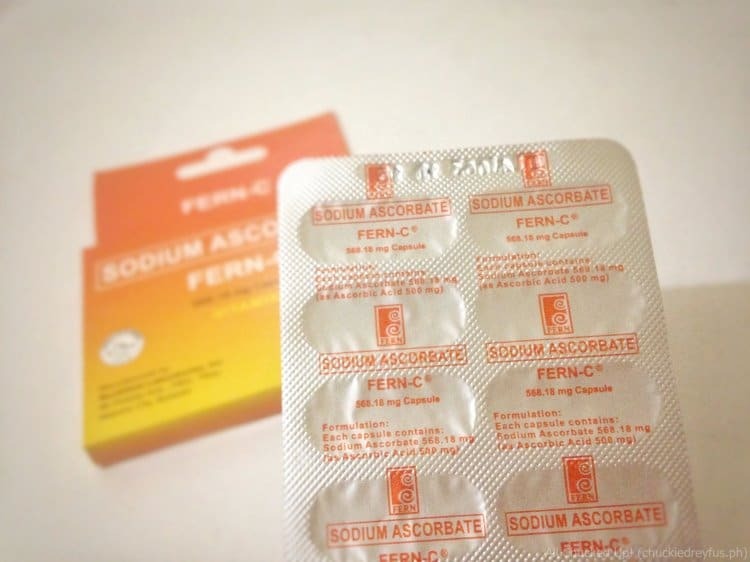 Can fern c be taken in capsule form or dissolve in a glass of water first? I am a representative of Lidango LLC – a company that offers a big variety of high converting products all around the world. Currently, we are expanding our affiliate network, so we want to invite you to become one of our affiliates. We are selling the products all around the world. Currently, we offer more than 60 different products in over 70 countries worldwide with average conversion rate above 7% and excellent payouts, where the payout of each product varies across countries in between of $7 for some Asian countries, up to $36 in some European ones, using all kinds of tracking, such as S2S, postback, img and/or iframe image pixel. If you are interested in working with us, please do not hesitate to contact me!